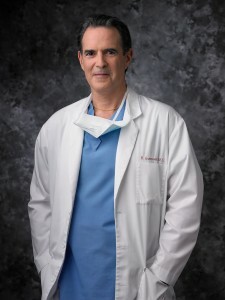 Ronald S. Greenwald, M.D., received his neurosurgery training at the University of Illinois, Chicago from 1980 to 1986. He had the distinctive honor of being chief resident at three hospitals – the University of Illinois Medical Center, Cook County Medical Center and Westside Veterans Administration Hospital. Dr. Greenwald grew up in Chicago, where he attended the University of Chicago Lab School, from which he graduated in 1968. He earned his B.S. at the University of Michigan in 1972. After two years of research in pharmacology, he attended Chicago Medical School. He earned his M.D. in 1979 and completed his residency in neurosurgery in 1986. Dr. Greenwald was certified by the American Board of Neurosurgery in 1991. After a few years of practice at Kaiser Redwood City, Dr. Greenwald opened his private practice in Mountain View in 1990 where he is affiliated with El Camino Hospital. Ten years later, he opened a second office at Sequoia Hospital in Redwood City. In addition, he has been chief of neurosurgery at San Mateo County Hospital since 1991. Since 1986, Dr. Greenwald has been an associate clinical professor of neurosurgery at UCSF Medical Center where he enjoys teaching medical students on a regular basis. As well as being involved in medical education, Dr. Greenwald has consulted for a surgical instrument company. He developed a unique set of instruments for anterior cervical procedures. Dr. Greenwald has been a member of the American Association of Neurological Surgeons (AANS) since 1991, the Congress of Neurological Surgeons (CNS) since 1986 and the California Association of Neurological Surgeons (CANS) since 1986. He has also been a member of the Santa Clara County Medical Association since 1990. Dr. Greenwald’s areas of expertise are in cervical and lumbar spine surgery and in brain surgery. He is most proud of how quickly his patients return to their normal lives and of how little time they need to stay in the hospital after surgery. As an avid skier, tennis player and golfer, he is dedicated to returning his patients to an active lifestyle as quickly and seamlessly as possible.